The first step in purchasing a home is to figure out how much you can afford. The best, and easiest, way to determine how much you can afford to pay for a home is to pre-qualify for a mortgage. The U.S. Department of Housing and Urban Development published a list of 9 steps to buying a home. The first step in buying a home is to figure out how much you can afford. What’s the easiest way to figure out how much you can afford to pay for a home? Pre-qualify for a mortgage. A mortgage pre-qualification is an estimate of how much you can afford to borrow for a home based on your financial situation. For serious homebuyers, the pre-qualification process represents an important first-step prospective buyers tend to overlook. You know how much you can afford to pay for a home. You don’t waste time looking at homes out of your price range. Realtors and sellers take you more serious, because they know you are a serious buyer. How Do I Pre-Qualify for a Mortgage? It’s easy to pre-qualify for a mortgage. We’ll briefly review your financial situation, including your credit score and income to debt ratio, to determine how much you can afford to borrow to purchase a home. If you would to start the process of pre-qualifying for a home, you can fill out a Quick Application online. Or, you can call us at 866-910-8020. The Marimark Mortgage Newsletter will keep you informed with important events in the mortgage industry that could impact your finances. 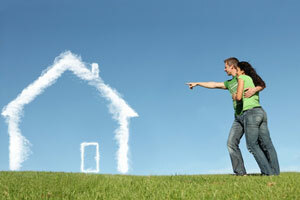 We especially focus on ways to save money on your current and future mortgages. And, we continually share the information we share with our clients, because we believe informed consumers are the best consumers. Real estate agents, and other professionals in the industry, will receive an ongoing wealth of information that will help them serve their clients. Opinions, estimates, forecasts and other views contained in this page do not necessarily represent the views of Marimark Mortgage or its management and should not be construed as an offer to provide financing at the rates or terms mentioned. Due to market fluctuations, interest rates are subject to change at any time and without notice. Interest rates are also subject to credit and property approval. Although Marimark Mortgage attempts to provide reliable, useful information, it does not guarantee that the information is accurate, current or suitable for any particular purpose. Information from this page may be used with proper attribution. Whether you are buying a home or refinancing, you can save with a mortgage from Marimark Mortgage! I just wanted to let you know how much we appreciate you following up with us and keeping us in the loop on everything it really has made us feel better through the whole process. You do great work. Thank you!! © 2019 Marimark Mortgage, LLC All Rights Reserved. | Internet Marketing by Image Building Media. Licensed in Florida by the Office of Financial Regulation, Mortgage Lender License #MLD77. Licensed in Virginia by the Virginia State Corporation Commission, License MC#4556. Licensed in Pennsylvania by the Department of Banking and Securities, License #40222. May we help you? Start your chat session now.